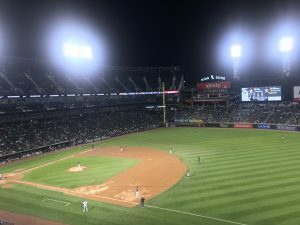 Michael Kopech’s MLB debut had long been anticipated, and the young flamethrower did not disappoint when the lights, pressure and rain fell upon him at Guaranteed Rate Field Tuesday night. It’s long been known that the trade of Chris Sale to the Boston Red Sox marked a new chapter in the Chicago White Sox’ storied history: No longer would they try to tread water with talent already in the majors. Instead, they would officially commit to building from the ground up. The White Sox, unsurprisingly, received quite the haul for Sale, and in the deal came Yoán Moncada, Luis Basabe, Victor Diaz and Michael Kopech, a right-handed pitching prospect with an electric arm and sky-high potential. Now over a year after Moncada’s introduction to the White Sox, Kopech was set to make his MLB debut on Chicago’s South Side against the Minnesota Twins. 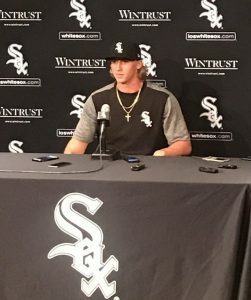 Kopechmania was more than alive, as made evident by the new Kopech jerseys lining the seats and the sizeable crowd that formed just to watch him warm up. After allowing two lead-off hits, Kopech dialed in and sat down the next three Twins batters, sending the home crowd into a frenzy. He struck out the first two of the second inning and, after allowing two baserunners, struck out Joe Mauer looking with a 97-mile-per-hour heater. Kopech dazzled with a bevy of fastballs, but his breaking pitches showed everyone that he was more than just a thrower. The stage was set for a statement debut against a team he will see a lot of. The future had arrived and was ready to hit the ground running. Fifty-two minutes after the top of the second, the White Sox and Twins resumed play. Kopech, who was already 52 pitches deep, was done. It left many disappointed and brought upon some boo-birds, but given the circumstances, the decision to cut Kopech’s night short made sense. 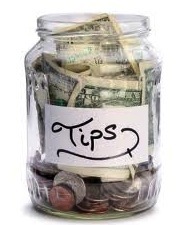 With manager Rick Renteria still in the hospital in Minnesota, Joe McEwing was left to call the shots. It’s hard to take much away from only two innings of work, but in his short outing, Kopech showed why there is so much excitement about him. His fastball was as electric as advertised, showing great movement and never dipping below 95-miles-per-hour. He supplemented a fastball-heavy night with offspeed pitches and breaking balls, displaying outstanding movement. He navigated through runners on the corners with no outs in the first and ended his night with four strikeouts. Moncada, the other headliner in the Sale trade, would go on to hit a home run to tie the game at two in the seventh inning. Though he has yet to settle into a consistent groove, the 22-year-old second baseman is still a major piece of the rebuild and has loads of untapped potential. As has been a theme most of the season, thoughts on the future were much more important than the present, as the Twins would go on to win five to two. Kopech’s next projected start is for this Sunday, so more can be made from him then. For now, however, Kopech remains a beacon of hope for a franchise that hopes to be contending sooner rather than later.